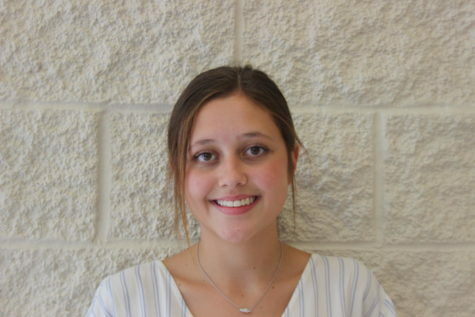 Gretta Alumbaugh is a senior, and this is her first year on the newspaper staff. Alumbaugh said she wanted to join newspaper because it would look good on her college application and she wanted become a better writer. After high school Alumbaugh said she would like to become a teacher and attend Texas Tech University. Favorite Ice Cream flavor: Chocolate chip cookie dough. Quote: "Be your own kind of beautiful"